Have you discovered Umbrella Prints from Australia? I first read about them on Anna Graham’s fantastic blog Noodlehead and was immediately smitten. The patterns are cheerful without being too cutesy and the colors are gorgeous. 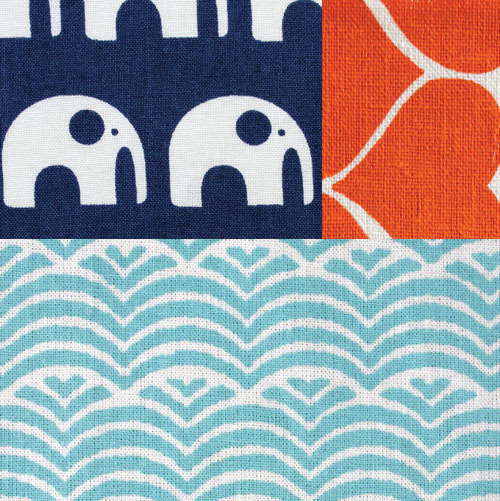 I’m always on the lookout for fun prints that will appeal to kids and adults alike–so I ordered a set of fat quarters from their Elephants Love Water collection knowing I’d find a project for them in no time. Once I had them in hand, I knew I wanted to make a baby quilt. 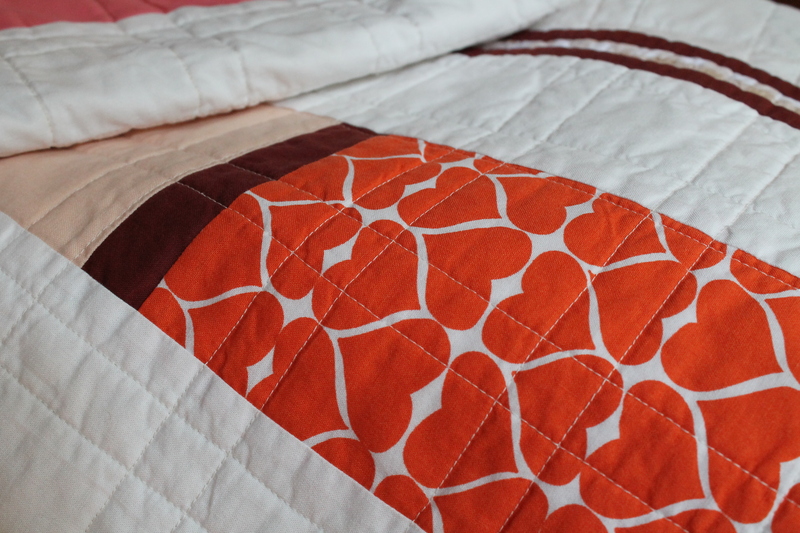 I had some leftover melon and peach Kona from making my daughter’s quilt, and I really liked how they worked with the deep orange in the heart print. Because I usually work in all solids, when I use a print I like to give it room to shine. I decided on a really simple design that centers on the print–and added a few little scrappy pieces on the sides. My favorite part of this quilt is the quilting itself. 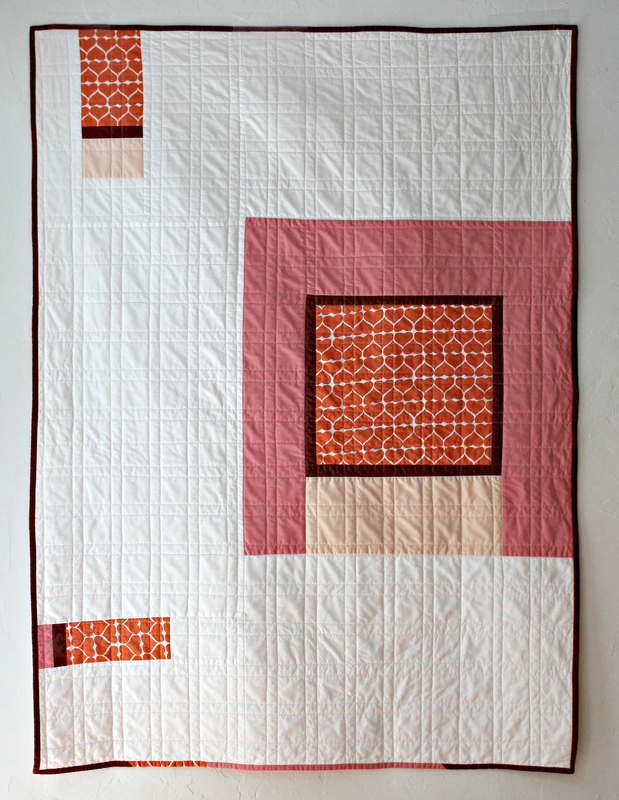 I used a straight-line quilting pattern that echoes the small frame of cocoa that surround the main block of the print. 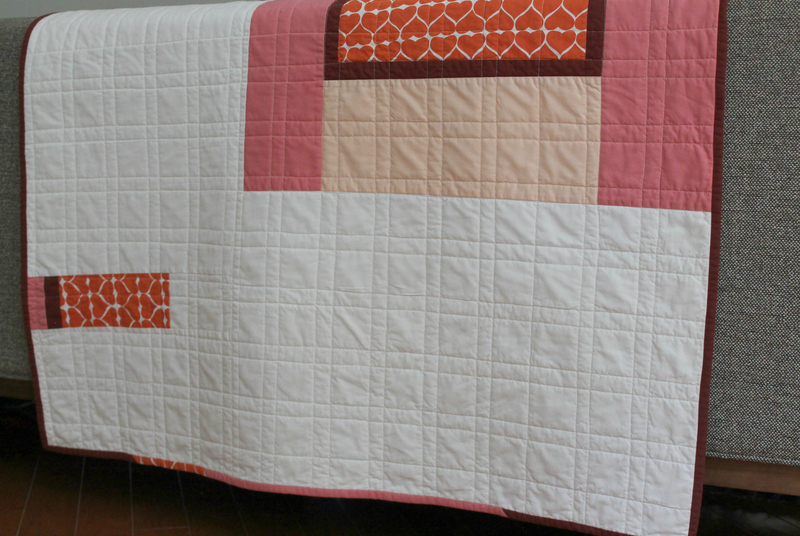 I really love the window pane effect, and the spacing of the lines makes the finished quilting really soft and cozy. This quilt has been added to my Etsy shop. This entry was posted in fabric, kids stuff, quilts, suppliers and tagged modern baby quilt, quilting pattern, umbrella print on September 22, 2014 by brigitdermott.